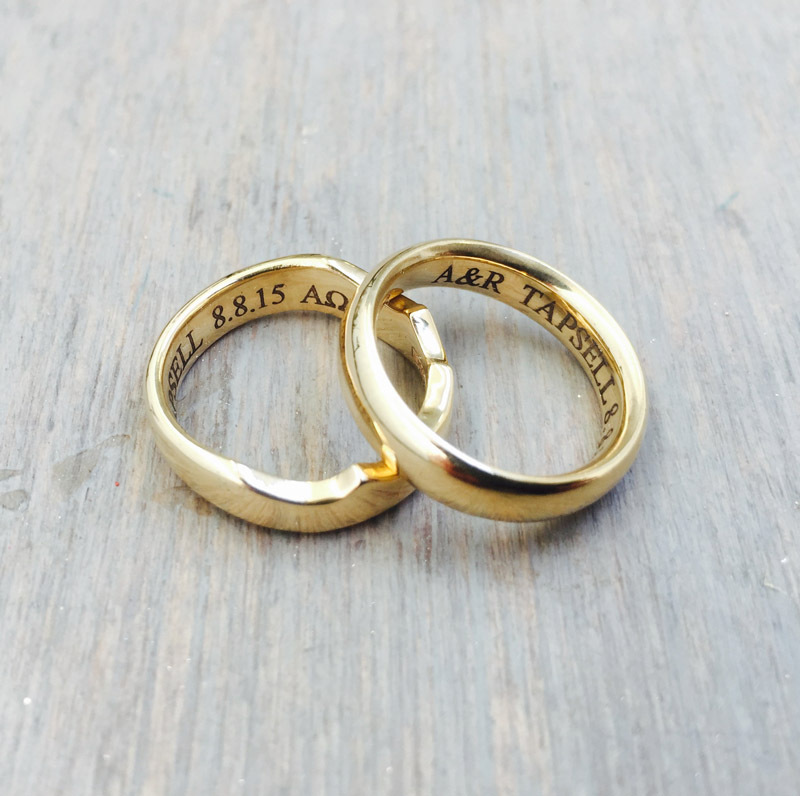 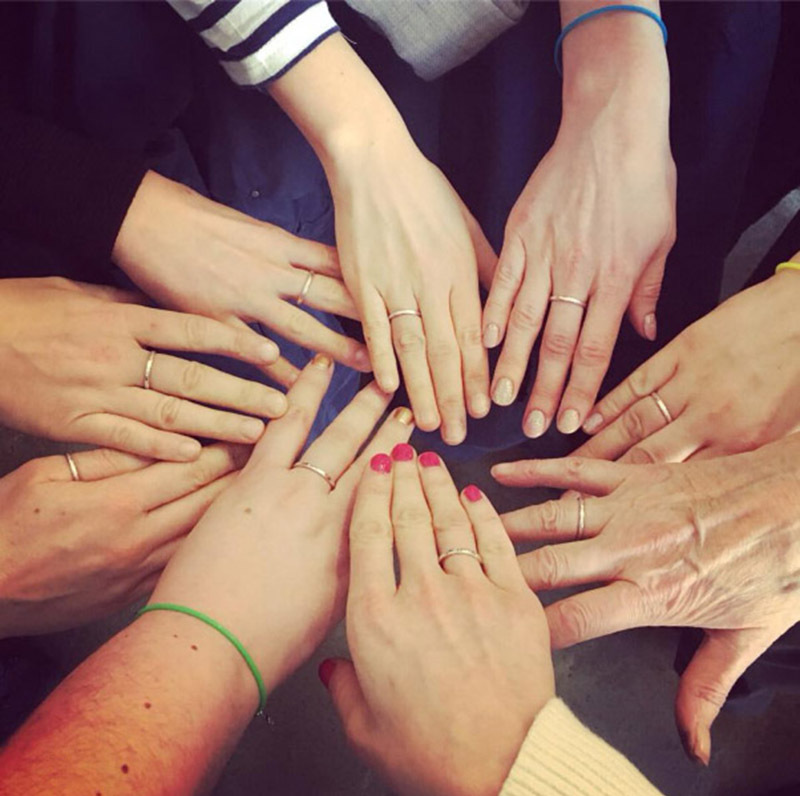 Enjoy a morning or afternoon of jewellery making with family & friends or come along yourself and I will guide you through the steps to make your very own silver ring or set of stack rings. 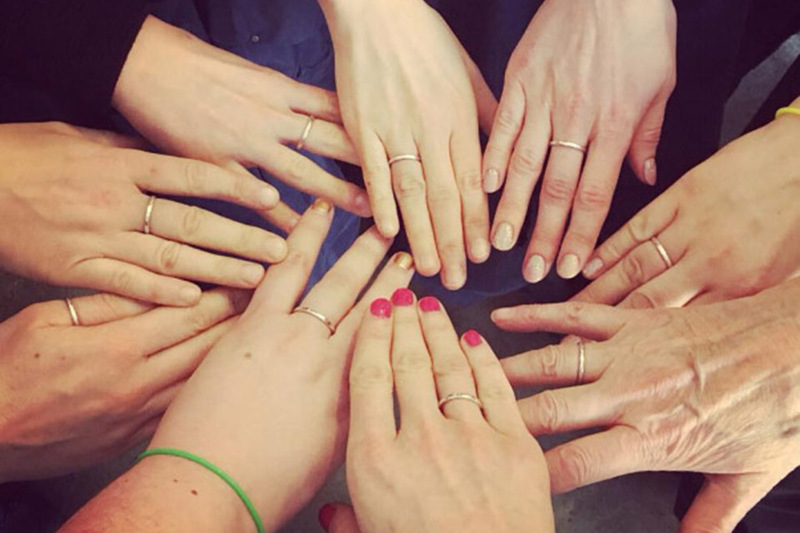 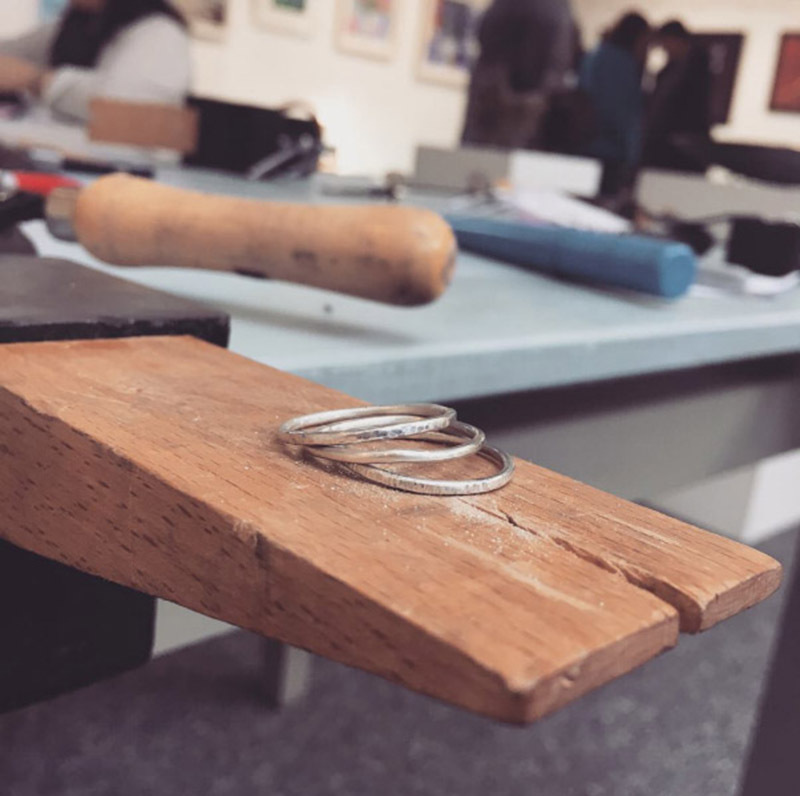 Whether you have made jewellery before or are a complete beginner come along and have a go at sawing, soldering and texturing metal to make your very own silver ring or as a gift for someone special. 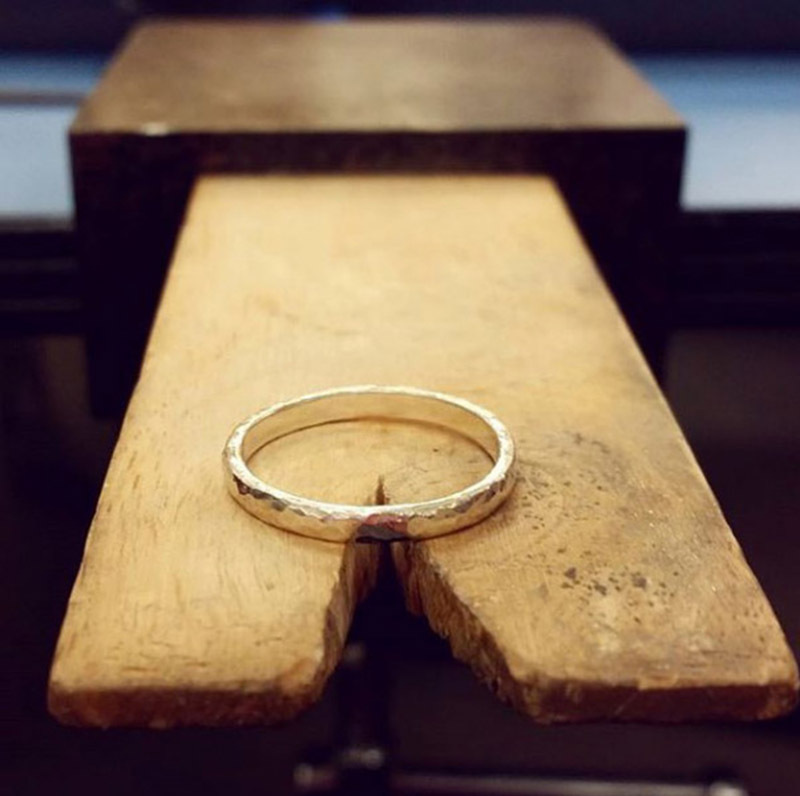 In this 2-21/2 hour workshop you can choose to make a Silver Ring, Thick Silver Ring or a set of Three Skinny Stack Rings. 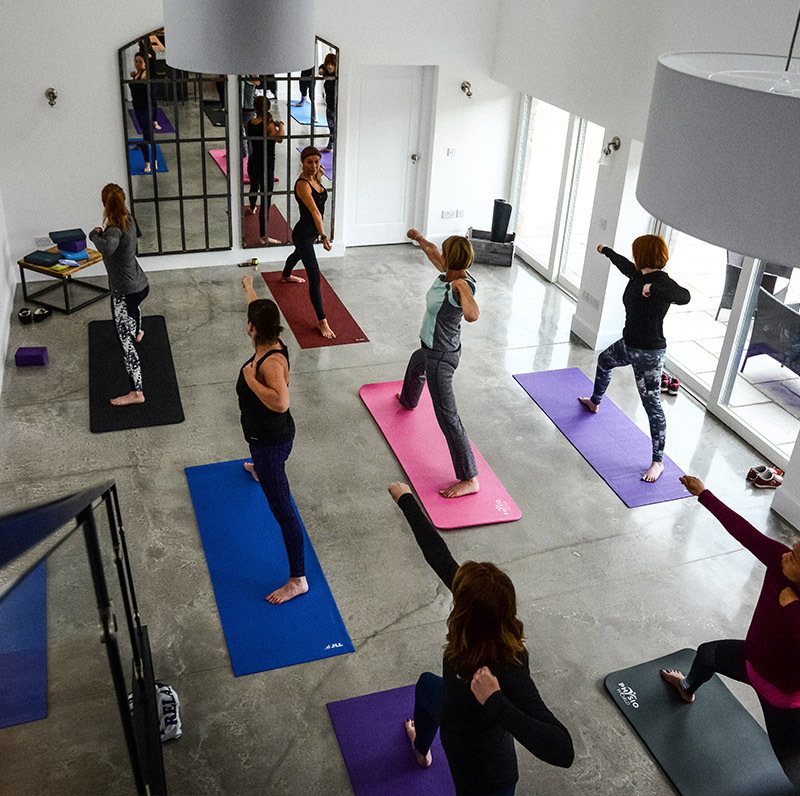 There will be a selection of tea/coffee and cakes to keep us going. 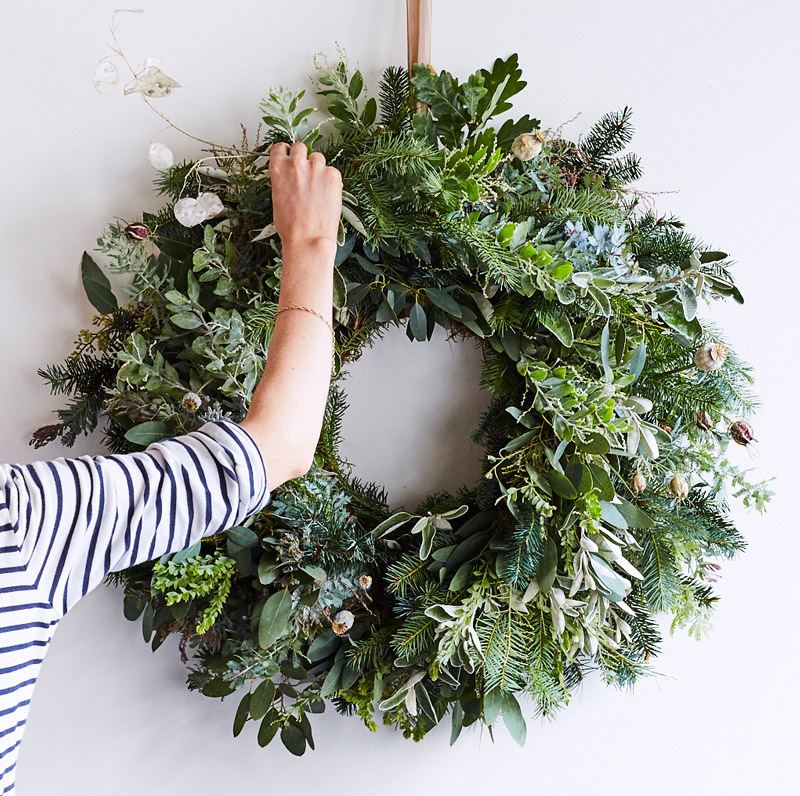 Just bring yourself and I will provide you with all the knowledge, tools and materials required for the workshop.